We accept most insurances and vision plans. Call for your convenient appointment. Every adult and child should have regular eye exams to maintain optimal vision and eye health. Parrelli Optical offes eye exams at their Beverly, MA location. 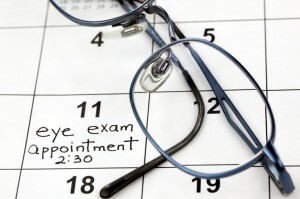 Eye exams are not only important for determining whether corrective lenses are needed. A good optometrist is able to use information collected from an eye exam to pinpoint the beginning of a serious problem. While some problems such as glaucoma and macular degeneration are vision related, some health problems such as diabetes can affect much more than just the eyes. However, the earliest signs of diabetes can often be identified in an eye exam. Also, those who are nearsighted or farsighted may experience changes in vision, which requires a change in prescription also. The professionals at Parrelli Optical look for many different types of conditions. They are able to help customers find glasses or contacts that fit their needs regardless of the conditions they suffer from. For example, people who have astigmatism or other conditions that make it hard to wear contacts can rest assured that Parrelli Optical doctors will help them find contacts that fit comfortably. There are a wide variety of products to consider. People who require special eye wear for work or sports will also find plenty of options. For those who cannot decide between glasses and contacts, the professionals at Parrelli Optical are available to provide suggestions and answer all questions. To see why we are a leading provider of eye exams in Beverly, MA, call us today to make an appointment. Important information for AIR OPTIX® for Astigmatism (lotrafilcon B) contact lenses: For daily wear or extended wear up to 6 nights for near / far-sightedness and astigmatism. Risk of serious eye problems (i.e., corneal ulcer) is greater for extended wear. In rare cases, loss of vision may result. Side effects like discomfort, mild burning or stinging may occur. Ask your eye care professional for complete wear, care and safety information.